Google Trends shows “debt relief” is both a popular search term and topic right now. Today, we’ll explain how you can use this info to grow your debt-related business. We’ll also examine how machine learning can cut average AdWords cost for finance-related terms almost in half. Learn where people are most interested in debt relief services and other tips to make your online marketing more effective. How do most people word their queries when searching for debt relief services online? And is interest in those services trending up — or going down? That knowledge is critical for making your online marketing efforts most effective. One way to know whether it’s time to update your AdWords campaigns is to check Google Search Trends. So, we created an easy-to-understand guide to what your target market looks for in online debt relief searches. That means your business now has more potential clients than ever before to target online. Where Are Consumers Most Interested In Debt Relief Services Right Now? If you’re a national debt relief company, knowing where your biggest target market lives can improve your AdWords campaign’s ROI. In fact, you can use AdWords to limit your campaign spend to certain high-interest cities or metro areas. But this time, let’s limit Google Trends data to show only the last three months, when search volume peaked. Okay, but remember how we said we wanted even more granular results for targeting campaigns in AdWords? It’s interesting to note there’s not much overlap between the top 10 states and metro areas listed above. Checking Google Trends for your specific state can help you target debt relief ads in places where most leads live. Negotiation: An ad or blog post saying you’re an expert at negotiation with creditors may work well for you! Balance: How to pay off accounts for less than the total balance owed is another great ad or blog post topic. Interest rate: This pairs well with related topic #1, “negotiation.” Try running an ad that says you can negotiate a lower interest rate on any outstanding loans. Car finance: Looks like a lot of people worry about losing their vehicles; how can you help those leads? Explain in your ad copy (or use car imagery!). Not sure they’re worried specifically about repossession? It’s the #12 related search topic in this category. Settlement: People want to settle accounts for less than they owe, but probably don’t know that’s an option. Call it out prominently in your ad campaigns and home page copy! If you’d like to cut your AdWords spend for debt-related keywords nearly 50%, machine learning can help you. Seem too good to be true? It’s not. 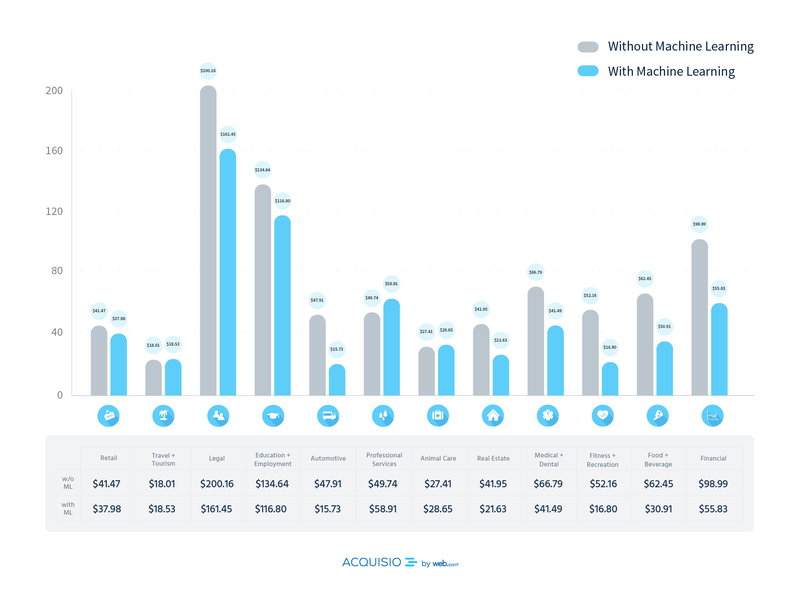 A recent Acquisio study showed machine learning cut the average financial services industry AdWords spend from $98.99 to $55.83. Overall, the study found 62% of accounts using machine learning increased their conversions. Looking to grow your business quickly or just keep your monthly pipeline full? We can deliver pre-screened debt relief leads to your business in real time. When you partner with LeadingResponse, you’ll invest in your own success by purchasing only superior quality, local prospects. Fill out the contact form on this page to request your free lead volume estimate today!